MT4 which is also known as MetaTrader 4, is a popular trading platform used by most forex brokers and CFD brokers. The platform was developed and designed by MetaQuotes and is being offered to traders free-of-charge. MetaTrader 4 offers users a simple functionality to trade the foreign exchange markets and CFDs, those include basic and advanced trading tools, advanced charts and technical analyses indicators, automated trading, etc. MT4 gained an enormous popularity among online brokers and traders since 2007 and continues to be the most used trading platform these days. What is a MT4 Broker? Although the MT4 trading platform is the most popular trading platform among online traders and online brokers, not all forex and CFDs brokers offer clients to trade through MT4. While some brokers offer only the MT4, others will expand the trading platform selection and offer more than one trading platform including MT4. The only way for a trader to trade with MetaTrader 4 is to choose one of the brokers that support MT4 and open an account with this broker. 24option, one of the most well known online brokers in the industry, offers online trading through a web-based platform as well as the popular MetaTrader4. Users can download the MT4 on 24 option’s website and trade on a demo account or a live trading account. 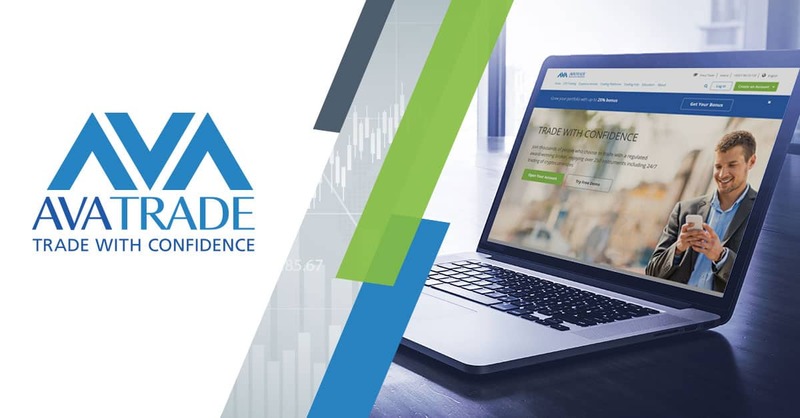 AvaTrade is a well-established broker that has provided online trading services since its foundation in 2006. AvaTrade offers a variety of trading platforms including MT4. AvaTrade also supports trading with MetaTrader on Mac OS whether via downloading the desktop platform or web-based platform. 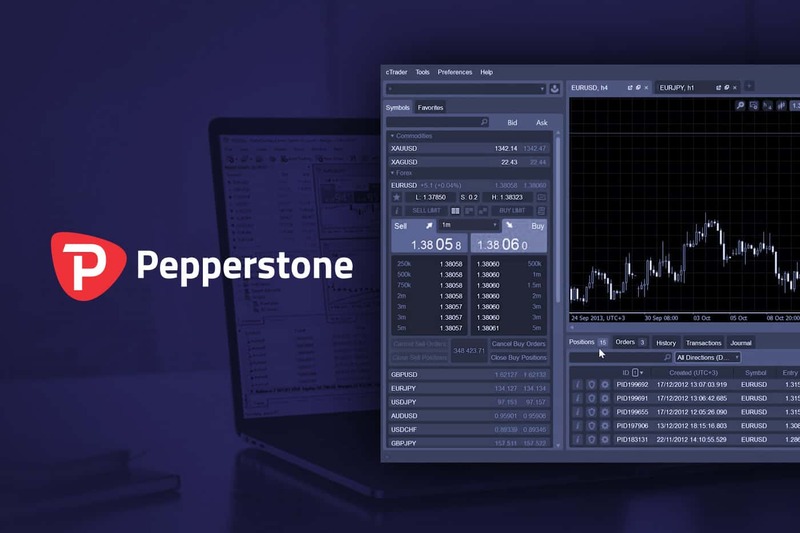 Pepperstone was founded in 2010 in Melbourne, Australia and has gained the trust and popularity among traders as one of the best forex brokers in the world. Pepperstone provides its traders 11 trading platforms which include the MT4, MT4 for Mac, and MT5. Pepperstones focuses on providing its customers with all the tools to maximize trading capabilities including, but not limited to, client protection, education, and market analysis, VPS hosting, etc. Founded in 2010, ThinkMarkets is an Australian global provider of FX trading and CFD financial products. ThinkMarkets offers all possible forms of MT4 trading: Desktop (Windows & Mac), mobile and web. The broker focuses on CFD shares trading and supports two trading platform, the Trade Interceptor and the MetaTrader 4. ThinkMarkets, formerly known as ThinkForex, is regulated by ASIC and FCA. FXTM is one of the largest and most well known forex & CFD brokers around the world. The global award winning broker provides traders and investors wide selection of products via MetaTrader4 and MetaTrader5. FXTM, also know as Forex Time, was established in 2011 and is highly regulated by CySEC, FCA, FSC, IFSC. Ally Invest is a well-known broker in the US offering a broad range of financial assets with a focus on low trading fees. Active traders and investors with large execution should consider the broker as it provides great terms for high volume. Traders at Ally Invest can trade over 80 currency pairs and choose between two platform – the Ally Invest forex platform and the MetaTrader4. Day traders can enjoy tight spreads as low as 1-2 pips. Ally Invest offers a Forex self-directed trading via MetaTrader 4 with tight spreads and the option to trade with automated trading. One of the first forex brokers, Forex.com, is a regulated broker by UK FCA and US CFTC offering active traders low fees and great research tools. Forex.com provides traders over 80 currency pairs and 220 stocks via Forex.com web trading platform or the popular MetaTrader 4. Interactive brokers attracts traders and investors with a variety of advanced trading platform, a large selection of tradable assets and low commission rates. The broker offers clients a diversified products selection including stocks, options, futures, bonds, ETF’s, metals, mutual funds, CFDs, EFPs, and hedge funds. Interactive brokers also provides a unique technology allowing traders to connect MetaTrader to Interactive brokers and copy all orders and positions. OANDA is one of the most well known brokers worldwide providing forex and CFD trading with tight spreads and variety of trading platforms. Founded in 1996, OANDA is a popular broker in the US regulated by regulators around the globe including ASIC, IIROC, FCA, FSA, CFTC/NFA, MAS/IES. OANDA offers traders and investors to trade with OANDA’s proprietary trading platform and the popular MetaTrader 4. 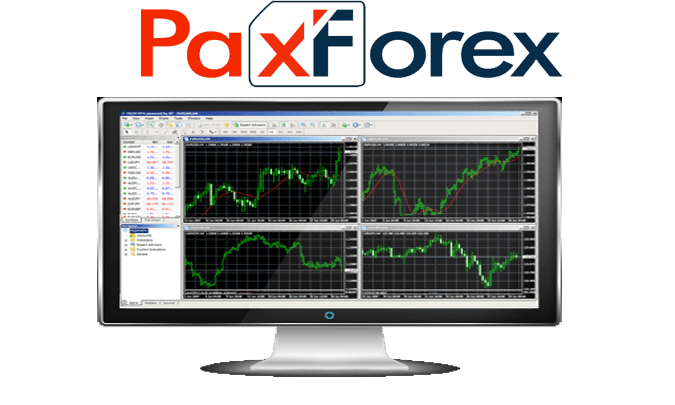 Founded in 2011, Pax Forex is an online Forex broker registered in Saint Vincent and the Grenadines offering its clients forex and CFD trading with low spreads and fast execution via MetaTrader 4. Pax Forex offers some interesting features and promotions for traders including high leverage of 1:500 and a bonus for an initial deposit. The broker also offers daily news and analysis for traders. More than 80 technical analysis indicators – One of the advantages of MT4 is the selection of technical indicators and the ease of use of these indicators. 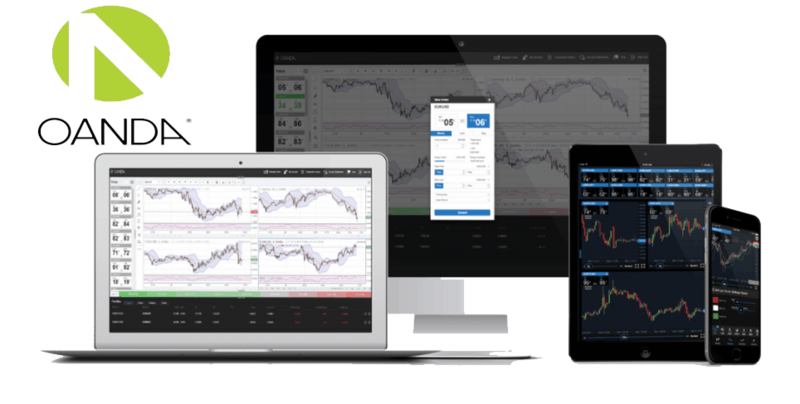 Web Based Platform – MetaTrader 4 allows you to run the platform on a web based page without the need to download the platform and run it on your desktop. There are advantages of working with a web based platform, however, for better connection and fast execution, a desktop platform is a better solution. MetaTrader Expert Advisor (EA) – The MT4 expert advisor, also known as EA, is a programming code that a user can install into the program in order to create an automatic trading robot based on algorithms and statistics. MQL Programming – The expert advisor feature require coding language which for some people can be an obstacle. The MetaTrader EA code is simple to learn and use and can easily create the implementation of trading robots. One Click Trading – The one click trading feature allows traders to trade from the trading chart which helps a fast and easy trading style, this method suits active traders.. For traders, it is important to master this technique as it involves some trading mistakes. The MetaTrader4 was designed specifically for forex and CFD trading and therefore those instruments are most suitable for the MT4. MT4 brokers offer a wide selection of financial instruments and markets on MT4 including forex, shares, indices, ETF’s, commodities, and cryptocurrencies. You can organize markets and instruments on the MarketWatch window on MT4 based on your trading preferences. The MetaTrader is a flexible trading platform and new products can be integrated easily to the platform similar to the entrance of cryptocurrencies in 2017-18. Programming language – MT5 uses the MQL5 compared to MT4 MQL4. In terms of programming capabilities, the MT5 is an improved version of MT4 as it provides the creation of ‘Black Box’ trading. For those who are searching for a simple and advanced trading platform, the MT5 is the perfect solution. Charts and Timeframes – MT4 has nine timeframes compared to 21 timeframes on the MT5. 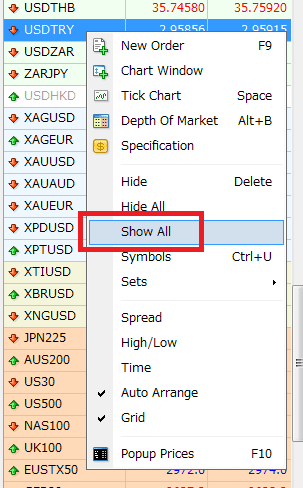 In addition, a hundred charts can be opened simultaneously on MT5 while only a few can be opened on MT4. Economic Calendar – The MT4 has a new tab of economic calendar. The speed of platform – The MT5 is faster than MT4 with 64-bit, multi-threaded platform compared to 32-bit, mono-threaded MT4. The MetaTrader 4, one of the most popular trading platforms among forex and CFD retail traders, has some great features and the simplicity to easily trade online. For beginners, the MetaTrader 4 is the best platform to start trading with as its customisability and ease-of-use make it the best platform for a day, swing and long term trading. For experienced traders, the platform serves all you need and even more than that with the Expert Advisor feature that allows traders to program their trading. In conclusion, MetaTrader 4 remain the most popular and one of the best trading platforms in 2019. Why is MT4 so Popular in Forex and CFD Trading? MetaTrader is the most popular trading platform for forex and CFD traders and investors. It is estimated that more than 95% of forex and CFD brokers offer this platform to their clients. 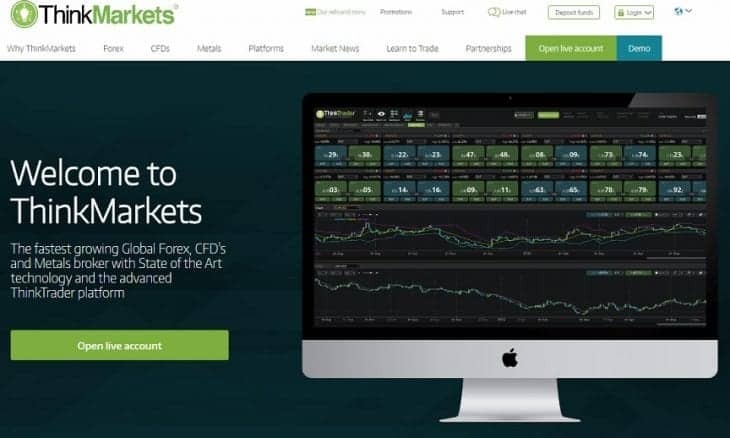 There is a number of reasons that include the facts that the platform is free of charge, the platform supports advanced and easy to use features, it matches beginners as well as experienced traders, offers more than 80 technical analysis indicators and the platform is relatively easy to learn. How can I learn to trade via MetaTrader 4? The best way to learn how to trade the MetaTrader 4 platform is to open a demo account with one of the brokers that offer MetaTrader. Once you decide a trading strategy, you can test the strategy using a demonstration account before you risk real capital. Another way to improve your trading abilities is to watch a video or read guides and articles explaining how to trade with MetaTrader. How do I open an account in MetaTrader 4? In order to open a trading account and start trading in MetaTrader 4, you need to apply with one of the brokers offering to trade with MetaTrader. The brokers above provide MetaTrader 4 including a demonstration account that allows you to test your trading strategy. How to download and install MetaTrader 4 on Mac? Download Wine open source to activate Windows applications. 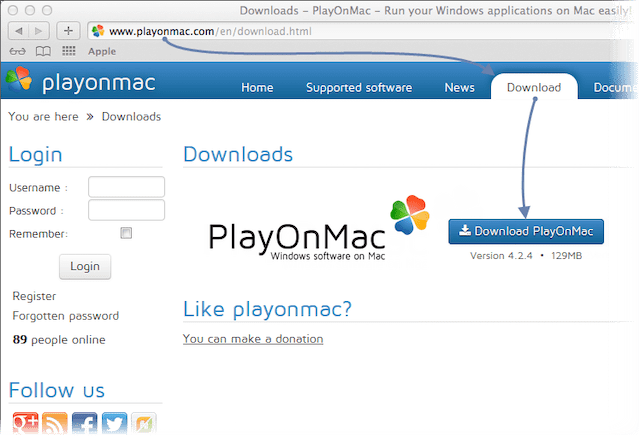 Download PlayonMac to your computer. Transfer PlayonMac to your application folder. Now you can download MetaTrader4 through the Metaquotes official website or through your preferred broker. What is the Expert Advisor on MT4? The Expert Advisor feature on MT4 allows traders to implement trading strategies and automate trading. Basically, the EA provides traders automatic trading based on statistics and algorithms and the EA functions like a robot on trader’s behalf. Most EA traders use technical analysis indicators or fundamental events with high volume to establish a profitable EA strategy.